Things are hugely hectic at Casa de Lipglossing. Leila appears to be coming down with a sickness and diarrhea bug just as we’re supposed to be packing up for a 325 mile trip to Mr. L’s parents for Christmas. I’d love to have more time to update the blog, but time seems to be the one thing I have precious little of. To keep things ticking over, I present you with a Monday Poll, on a Tuesday! I used to love doing these and haven’t done one for aaaaages!! I’m a lefty, I turn the paper sideways to write on it. Apparently I’m not gonna live as long as you righties. Something to look forward to. Hmmm… I feel at home here in Hampshire on the South Coast of England, but I feel equally at home in South Sydney, Australia. I think I’m quite adaptable. My husband and baby daughter, my health and my iPhone, dinner, makeup, nice nails, camera, stuff. 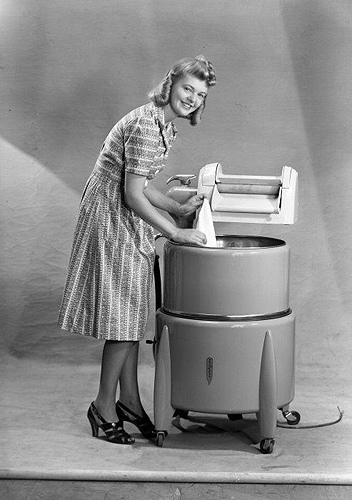 Boring, I know… today I have been mostly doing the laundry. 6. Have you ever studied abroad? I don’t do texting… I’m the slowest texter on the planet. I’d much rather make a quick phonecall. Jogging Bottoms and a semi-shapeless t-shirt. Laundry day remember? Get the family up to the North East of England without too much drama, eat as much as possible without putting on a single pound in weight and help my family enjoy Christmas despite us all being a bit under the weather. I’d love to hear your version of the above, let me know your answers in the comments! According to my 1st year psych prof, lefties have a shorter lifespan because the world is built to suit right handed people, thus, we (I’m a lefty too!) have a higher incidence of accidental deaths. But that said, according to my 3rd year health psych prof, accidental deaths are the best way to go because they are generally quick and fairly painless. Morbid, for sure, but I guess it’s kind of a silver lining? i usually say nothing, but now i have the absolute best answer thanks to you! yay! It’s still monday for me! Lefty!! My friend recently sprained her wrist so is learning how to write left-handed and all these lessons on YouTube she links me to amuses me because they’re true… I Just don’t remember ‘learning’ to write that way! Can you tell I went out today? haha. First time I’ve done a full face in a while! No, but I’m looking at abroad options for a graduate degree! Uh, it was long, but mostly about trying to figure out where our last bestie was and if her boyfriend was coming while we were waiting to order dinner. Black slacks, forest green shirt, black sweater, boots because it’s snowing. Still. Finish wrapping Christmas presents, cleaning my room, and working on Physio! Hope your trip up to North Land where I am, goes without any hitches babe and hope Leila is well soon. My previous home. Brings tears to my eyes that we don’t live there anymore – most of my life took place there. My family, my friends – past, present and future, and the precious belongings that I own. Yeah… reception and year 1 in India. Good times. I told a friend that if she didn’t spread the word I would send my grandma, and her army of fuzzy friends to her house to attack her with bananas. Just another normal, average, everyday text for me. Right, which probably means I’m not creative. Well, to be fair, I’m not!! Norfolk, England. But don’t tell anyone…. My family, my health and living in a relatively safe country. Eyes: Laura Geller e/s in a shimmery soft brown, Laura Geller baked liner in brown, CD Diorshow Blackout mascara. Not specifically, but I have a thing for makeup and makeup brushes! grey skinny jeans, grey vest top, grey striped long sleeved top, black deep v batwing jumper- i was cold, and I like grey! Enjoy xmas with the family and avoid all phonecalls from work!